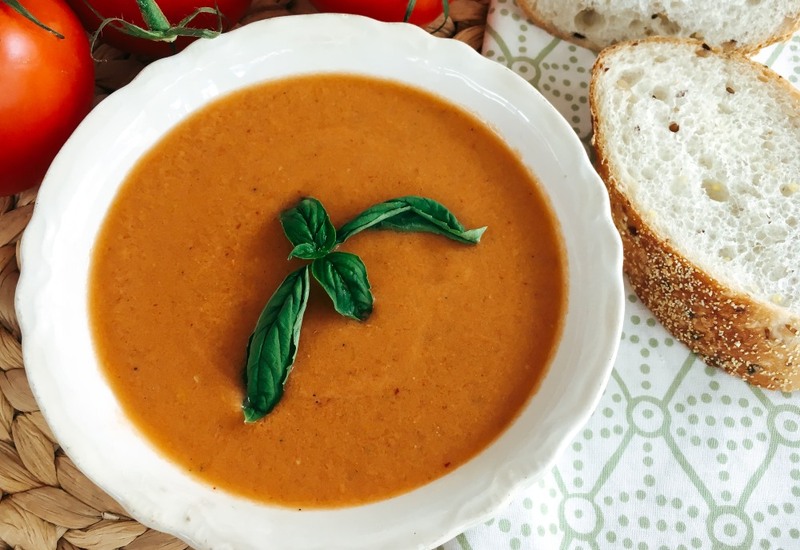 This smoky and tangy cold tomato soup is perfect on a hot summer day. I love to serve this with grilled seafood and some crusty bread. Make it a day ahead so the flavors really combine and so all you have to do is pour it into bowls and you are ready to go! Serve as a quick appetizer soup in small cups or bowls you can drink from, or more as a main dish for lunch on a hot summer day. You can leave out the chipotle pepper if you don't like heat, or double the amount if you really do! If you leave out the chipotle pepper in adobo sauce, this recipe becomes paleo- and Whole30-friendly! The adobo sauce has high fructose corn syrup in it, so if you follow the paleo or Whole30 lifestyles, you can easily make this recipe fit into your life. Or substitute a fresh chile pepper for the chipotle pepper in adobo sauce! Per Serving: 91 calories; 7g fat; 6.7g carbohydrates; 1g protein; 0mg cholesterol; 341mg sodium. I tried this recipe and it was super delicious and spicy! It was the perfect game day recipe for our house gathering, and my guests loved it too! This was a really delicious gazpacho! We served it with shrimp and toast. Chipotle in adobo is my favorite, and I loved it in this dish! Perfect for warm weather!